If you are on the other side of a personal injury lawsuit (the defendant), that means that someone is blaming you for causing their injuries. But there are defense strategies that can be employed to fight such lawsuits. For example, under Wisconsin law, a plaintiff’s damages will be reduced by plaintiff’s fault, and completely barred where plaintiff is found to be more negligent than the defendant. Another common defense is the doctrine of “assumption of risk,” where the injured party “assumed” the risk of injury while participating in certain activities. Yet another defensive strategy is to prove medical “pre-existing conditions.” With this strategy, the defense would try to prove that the plaintiff’s injuries were not a result of the accident, but existed before the accident. 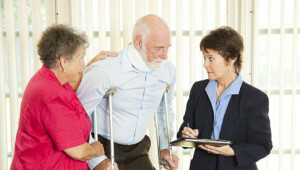 Personal injury cases, as well as personal injury defenses can be complicated. As a licensed lawyer in the state of Wisconsin, Thomas Margolis can help you understand and navigate through the legal complexity associated with many of these types of cases.